Packed the Nikon F100 with a macro lens and headed into the city to see if I could capture “discarded objects” as a theme. It was a lot harder than I thought it would be. My ability to notice detail is quite limited. Combine this with a lack of patience, and you have some serious barriers to identifying and shooting appropriate subjects. You can read about the preparation for this shoot here. The strangest thing I found whilst following this theme through was how quick I had to be to capture some subjects. Being mostly located on the pavement, they were constantly being stepped on, kicked along, or being swept up by the constantly moving masses of people. I spotted a ticket of some kind and was about to get down to shoot it when someone actually picked it up to put in the bin. Crazy bad luck? The incredibly short depth of field in macro photography didn’t help either. Whilst a creamy bokeh can be very aesthetically pleasing, the short DOF on some of the images did not help the composition. 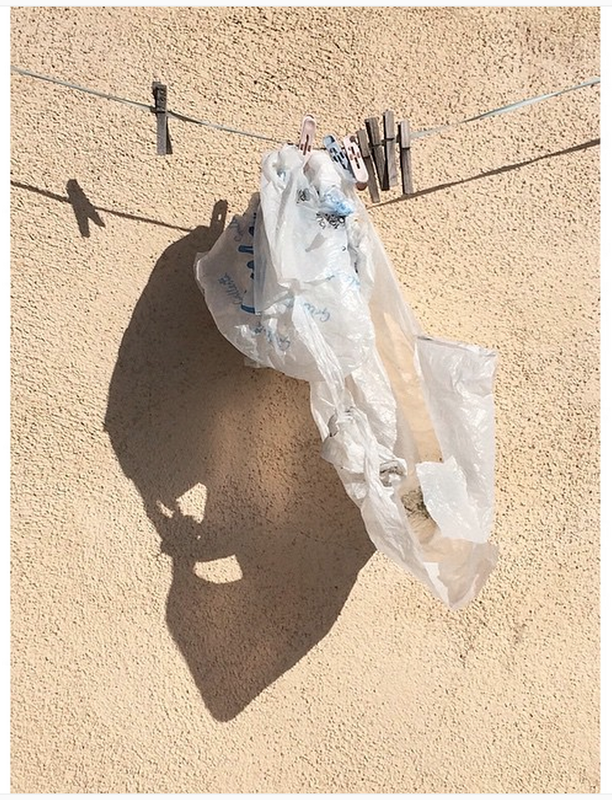 It was also very difficult to create a second layer of meaning in each image – like the shadow face in the plastic bag image featured in the preparation post. Being so focused on just finding things to photograph was exhausting enough creatively, let alone finding things that have a bit more “clever” in them! Despite having a clear brief, I found myself just drifting along the city streets. I had a print out of the exercise and objectives but was unable to follow them closely – it was just one of those kinds of days where it was all a bit loose. The images that kinda work are a bit light on. The coffee cup has some dramatic rain drops, but there is nothing interesting about the composition itself. The miniature tractor is cool, but I was unable to add anything to the composition – the model maker had done all the heavy lifting creatively. Scraps of paper are interesting from a pure aesthetic viewpoint, but are not yet telling a story. Whilst the macro lens is autofocus, it tends to hunt a bit most of the time. There were still some OK opportunities for some street shots with the macro!